Our drive-up units are non-climate controlled and range from very small 5'x5's (comparable to a walk-in closet) to 14'x85'+ at select properties (these types of units mimic a garage or warehouse environment). For ease of access at select properties, we offer breezeway units with covered hallways that protect from heat, sun, and rain. These are traditional units without heating and cooling but tend to stay cooler than a drive-up unit. At some locations, we have drive-up air conditioned storage units with heating, cooling, and supplemental humidity protection. These units are optimal for temperature and humidity-sensitive storage, providing the best environment with easy access. 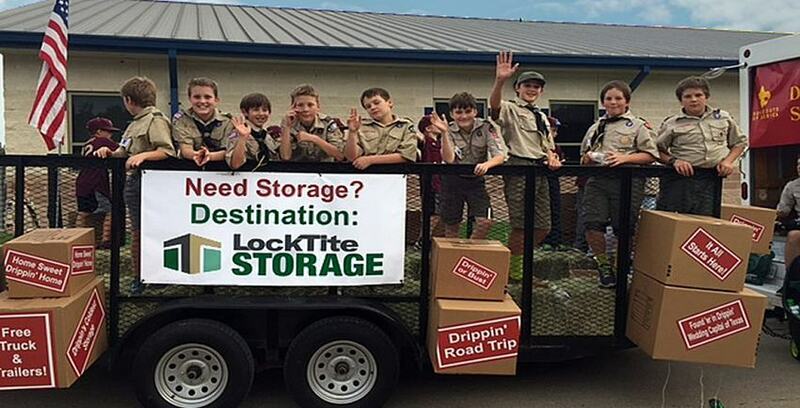 All LockTite Storage facilities offer climate controlled commercial storage units. These units include heating, cooling, and dehumidification, with select facilities also providing carpeted units. And our temperature controls are set at 72 to 76 degrees for your comfort during hot Texas summers. Our carpeted climate controlled units mimic the interior of your home or office by minimizing dust and adding protection for expensive inventory such as electronics, furniture, and office equipment. This type of unit is also a great option for doctors or clinics, CPA's or anyone who must maintain valuable items in a highly protected environment.